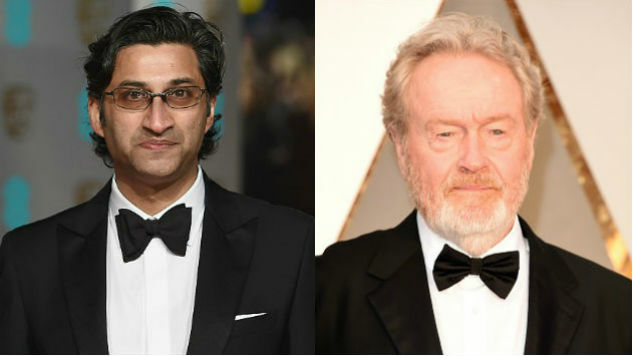 Ridley Scott (Alien) and Oscar-winning documentarian Asif Kapadia (Amy) are teaming up on a project with, well, let’s just say an ambitious amount of subject material—like, maybe that of the entire history of humankind. The two directors are collaborating to adapt Yuval Noah Harari’s non-fiction bestseller Sapiens: A Brief History of Humankind, according to THR. The book was first published in 2011 and, after selling eight million copies, has since been translated into 30 languages. In it, Harari surveys human history, from the evolution of Homo sapiens in the Stone Age through our 21st century technological achievements, in an attempt to explore how humans became the dominant species on Earth. The author is currently a history professor at the Hebrew University of Jerusalem. Check back for further updates on Sapiens: A Brief History of Humankind.